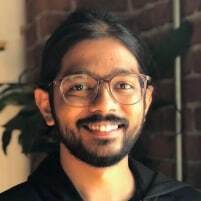 Tanmai is the Head of Engineering and co-founder of Hasura, a core-tech startup. He is also a technology advisor to several early-stage startups and is a passionate advocate for real-world programming education. He holds a Bachelors & Masters degree from IIT Madras in CSE. Although from a computer vision background, his focus over the last few years has been on cloud infrastructure, functional programming and GraphQL. He's an instructor for India's largest tech MOOC - IMAD.